(1931)Boris Karloff, Walter Miller, Nora Lane, Dorothy Christy. 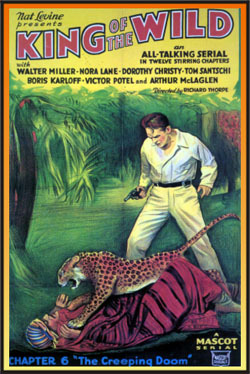 Boris plays a villainous sheik in this exciting Mascot serial thriller that's filled with maneating tigers, volcanoes, and other jungle thrills. 12 chapter serial, 2 tapes, 16mm.